Free customization of Dog House Panel, Tire Jump and Wall Jumps! 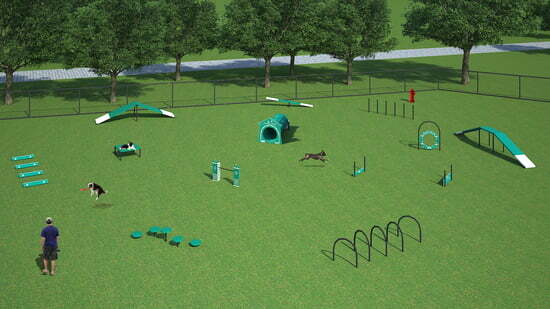 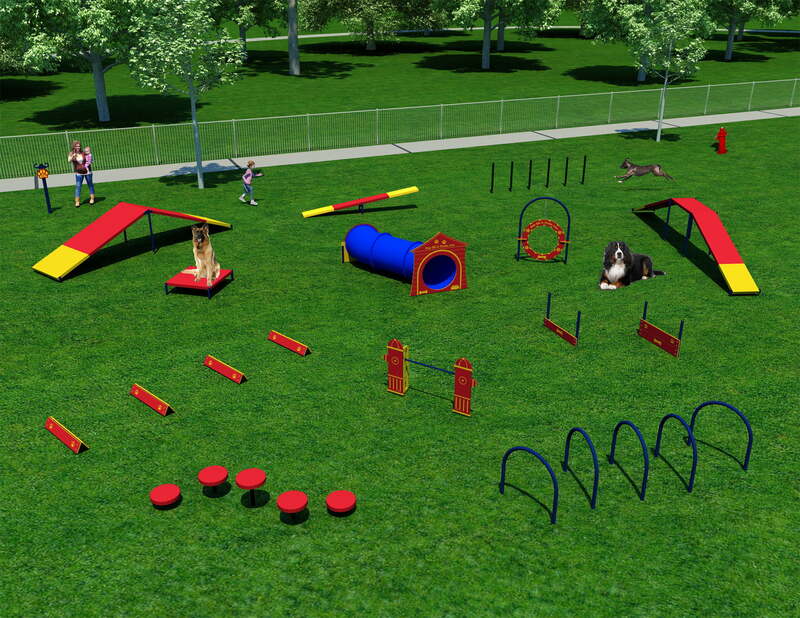 The Complete System offers the best of everything and includes 13 of our most popular dog agility activities as well as a custom dog park sign and Pet Parking Post: A-Frame, Dog Walk Ramp, Wait Table, Teeter Totter, Agility Walk, Hound Hoops, Hound Hurdles, Flexible Weave Poles, Adjustable Tire Jump, Adjustable Jump Bar, Wall Jump (Single & Double), and Double Bow Wow Barrel with custom Dog House. 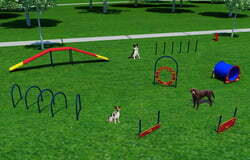 Complete system also includes a FREE Standard Fire Hydrant - a $398.00 value!